Though 3D movies are becoming more and more popular, quite few 3D movies are released in Blu-ray disc. Since that, there’s increasing need for converting 2D Blu-ray movies to 3D videos. This guide would show you how to convert 2D Blu-ray to 3D MP4 video as an example on 2D Blu-ray to 3D video conversions. You could follow the below content to know the details. Part 1: How to Convert 2D Blu-ray to 3D MP4 via Leawo Blu-ray Ripper? Part 3: How to Play 3D MP4 Video File? 1. Leawo Blu-ray Ripper – A professional 2D Blu-ray to 3D video converter that could convert 2D Blu-ray movies to 3D videos with 6 different 3D effects available, including: Red/Cyan, Red/Green, Red/Blue, Blue/Yellow, Interleaved, Side by Side. 3. A computer with Blu-ray drive and internet connection. Step 1: Free download this Blu-ray 3D ripper and install it on your PC. Mac users should use Mac version of it, namely, Leawo Blu-ray Ripper. Launch this 2D to 3D video converter, click "Add Blu-ray/DVD" button on the menu bar to load source Blu-ray movies. Note: 3 content loading modes could be used for loading Blu-ray movies: Full Movie, Main Movie and Custom Mode. You could freely select one upon your own desire. After loading source 2D Blu-ray movies, you could then see a big "Edit" icon in each loaded Blu-ray title. Click it to enter the video editing panel, where you could see a "3D" tab. Open "3D" tab, switch "3D Effect" button to green, then select a 3D effect from preset 6 ones and set the 3D Depth. You could get instant preview of the 3D effect you just set. Click the drop-down box next to the "Add Blu-ray/DVD" button and then select select "Change" option to enter the Profile window for output profile setting. On the Profile panel, open "Format" tab to select MP4 as output format. For advanced purpose, you could customize the video and audio parameters of output profiles by clicking the same drop-down box and then clicking "Edit" option. You could change video codec, audio codec, bit rate, aspect ratio, resolution, frame rate, channel, and other parameters. After saving profile settings, you will be returned to the main interface. Click the green "Convert" button to call out the right side bar to set "Save to" directoy. After that, click the "Convert" button at the bottom to start 2D Blu-ray to 3D MP4 video conversion. This Blu-ray Ripper would start Blu-ray 2D to 3D conversion immediately. Visual or multimedia learners may find the tutorial in text form too difficult or abstract to comprehend. Therefore a video demonstartion of Leawo Blu-ray Ripper is presented here, showing not only how to convert 2D Blu-ray to 3D MP4, but also other features of Leawo Blu-ray Ripper. Check it out. Step 1: Download this 3D video player for PC – 5KPlayer and install it. Step 2: Go to the directory that you set in Part 1, find the 3D MP4 video created from 2D Blu-ray, and drag and drop the 3D MP4 video onto 5KPlayer UI. Note: The 3D movie will be played in a minute, so you’d better be wearing your 3D glasses already. Step 1: On your Samsung Galsxy S7’s MicroSD card file directory, navigate to Oculus > Movies > Your Movies, and create a new folder within “Your Movies” and label it “3D”. Step 2: Import or transfer 3D MP4 video file into your newly created “3D” folder. 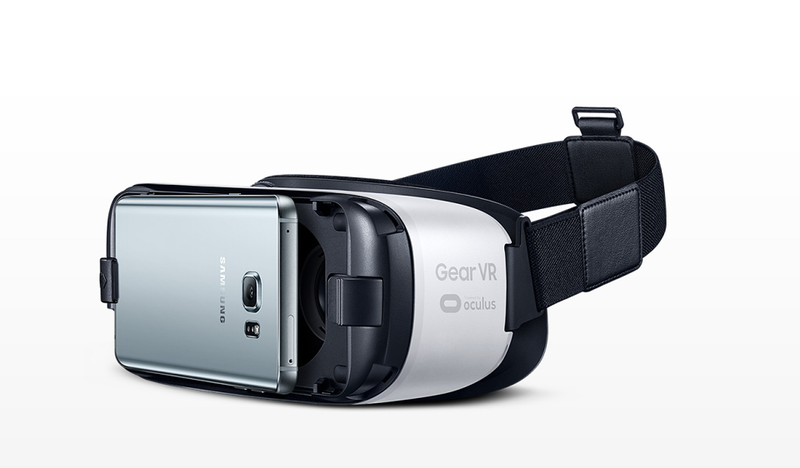 Once done, dock the phone Samsung Galsxy S7 in your Gear VR, and wear the virtual reality headset. Step 3: Navigate to Oculus Cinema from the main menu, choose “My Videos” from the Oculus Cinema content library menu, and select the 3D MP4 video file to start to play. Please take note that you can select cinema mode as well.